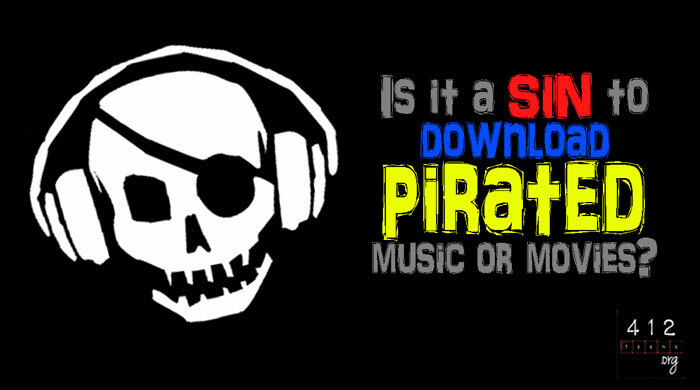 Is downloading pirated music or movies a sin? Is it okay to torrent or use Pirate Bay? This is such a hard question to answer today because so much media like movies, books, and music are all available for "free" through sites like YouTube, BitTorrent, and PirateBay. (And probably more we don't even know about.) But just because something is "free" doesn't mean that there is no cost. Someone has to pay, and if it isn't you, then it's somebody else. Stealing is defined as "taking another person’s property without his or her permission." Pirating is basically that. (Seriously, why do you think they call it "pirating"?) Pirated music, movies, books, etc. are all stolen materials. That is, they were taken (and/or distributed) without having paid the artist, author, movie company, etc. Okay, maybe some of them are greedy, power-hungry companies, but they should still legally get paid for their work. 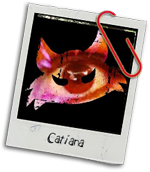 Wouldn't you want to get paid for your artistic creations if you had a right to be? What if I'm not the pirate? Just the downloader? Stealing the stuff in the first place is a sin—that's on the digital pirates themselves. Downloading stolen stuff is also a sin because you're taking part in the crime as a customer (or downloader or whatever). Think of it this way: Would it be okay to buy a stolen wii or Xbox from someone selling them off the street? Nope. Why? Because you would be encouraging the thief's life of crime and becoming a part of the sin by bringing a stolen game system into your house. The same goes for pirated music, movies, books, etc. By downloading that stuff, you're stealing from the rightful owners of that stuff by getting it for free, taking away the profit they could have made if you actually purchased it. But it’s just one ___________! What's the big deal? As a follower of Christ, we should want to follow God's laws in order to live our lives for Him. One of those laws is not to take what you have no rights to take (Exodus 20:15). Maybe one pirated song would put the record company out 99 cents. Okay. But what if millions of people thought that? A few million people, all saying, "It's just 99 cents!" Now we're talking millions of dollars lost. That means your favorite band doesn't get paid what they deserve either. Is that a loving way to treat someone who makes awesome music? I know how easy it is to say "just this one time," but that's how habitual sin gets started. Practice self-control, and allow the Holy Spirit to convict you—and help you—to steer clear of being a digital pirate. As a side note: In most countries, the government has ruled the practice of digital piracy as illegal, and in that case, it is definitely wrong to download copyrighted media because it's against the law. On the flipside, if it is not illegal in your country, then the decision would be up to you—and your conscience—to decide whether it is right or wrong (James 1:5). Stealing is defined as "taking another person’s property without his or her permission." Pirated music, movies, books, etc. were taken (and/or distributed) without having paid the artist, author, movie company, etc.—stolen. Stealing the stuff in the first place is a sin, but that's on the digital pirates themselves. Downloading stolen stuff is also a sin because you're taking part in the crime as a customer/downloader. It's easy to say "just this one time," but that's how habitual sin gets started. Practice self-control, and allow the Holy Spirit to help you steer clear of the temptation.